I think he meant, "the team that's easy to beat." You'll be too busy celebrating another offseason championship. Wait... is your team no longer a laughing stock? 32-51 this decade. Yeah, we're still laughing at you. At least they didn't throw their pick away... at least not yet. I heard Jay Cutler and Jim Harbaugh are available. Congrats, you won a game. 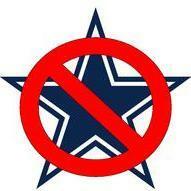 You're still one of the 3 worst franchises in the NFL. Translation: Michael Vick says being employed in March would be a ‘dream come true’ and the Racists are one of the few teams dumb enough to possibly bite. The most amazing part is that such a crappy team has got 14 home MNF games in the last 15 years. Wow. Do they also ban people for saying the world is round? Weird, awkward and inappropriate comments to say the least. Doesn't affect the validity of his R-Words argument in the least though. Oh stfu. I'm so sick of people equivocating winning WWII with a casual attitude toward racism and discrimination. If you were even slightly educated on minority soldiers you would know that was not at all true. I certainly haven't seen sufficient evidence. But again, the name's origin is merely a footnote with regards to its current connotation. Because that survey was poorly executed from a methods standpoint. It allowed for self-identification. That means anybody who heard a rumor that their great great grandma was half Cherokee could identify as Native American. Not exactly the most accurate method. A more recent survey found that 67% of Native Americans find the term racist. This survey only people who could be verified to be Native American: http://cips.csusb.ed...ressRelease.pdf But people will keep trotting out that poorly executed, preaching it as if it were fact, without ever taking a moment to skim how the data was collected. Hey, anything to keep your team's name, right?